It is a major component of predictive maintenance. 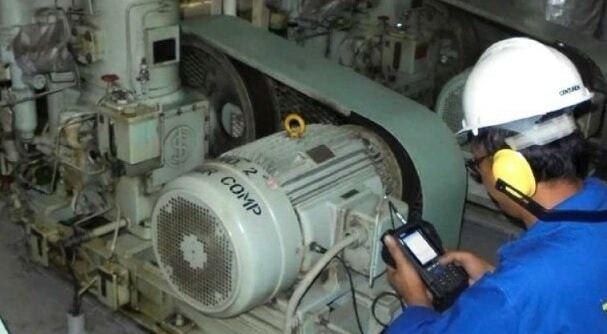 The use of conditional monitoring allows maintenance to be scheduled, or other actions to be taken to avoid the consequences of failure, before the failure occurs. Predictive Maintenance does not predict failure. Machines with defects are more at risk of failure than defect free machines. Once a defect has been identified, the failure process has already commenced and CM systems can only measure the deterioration of the condition. Intervention in the early stages of deterioration is usually much more cost effective than allowing the machinery to fail. Condition monitoring has a unique benefit in that the actual load, and subsequent heat dissipation that represents normal service can be seen and conditions that would shorten normal lifespan can be addressed before repeated failures occur. Serviceable machinery includes rotating equipment and stationary plant such as boilers and heat exchangers. 1. Screen monitoring records video or static images detailing the contents, or screen capture, of the entire or the content of the screen activity within a particular program or computer application. Monitoring tools may collect real time video, accelerated or [time-lapse] video or screen shots, or may take video or still image captures at regular intervals (e.g., once every 4 minutes). They may collect images constantly or only collect information while the user is interacting with the equipment (e.g., capturing screens when the mouse or keyboard is active). 2. Data monitoring tracks the content of and changes to files stored on the local [hard drive] or in the user’s “private” network share. 3. Keystroke monitoring (e.g., number of keystrokes per minute) may track the performance of keyboard-intensive work such as word processing or data entry. Keystroke logging captures all keyboard input to enable the employer to monitor anything typed into the monitored machine. 4. Idle time monitoring keeps track of time when the employee is away from the computer or the computer is not being actively used. Screen monitoring records video or static images detailing the contents, or screen capture, of the entire or the content of the screen activity within a particular program or computer application. Monitoring tools may collect real time video, accelerated or [time-lapse] video or screen shots, or may take video or still image captures at regular intervals (e.g., once every 4 minutes). They may collect images constantly or only collect information while the user is interacting with the equipment (e.g., capturing screens when the mouse or keyboard is active). Data monitoring tracks the content of and changes to files stored on the local [hard drive] or in the user’s “private” network share.